When you’re selling your house, it can be tempting to hope that buyers will see past the surface to the beautiful bone structure of your abode and realize what a lovely life they could make in it. But the truth is that most homes could use a little bit of a facelift before you invite people to walk through and hope they’ll make an offer on it. So what do you need to do, exactly, to get your house into perfect shape, and keep it that way throughout all the showings and events? 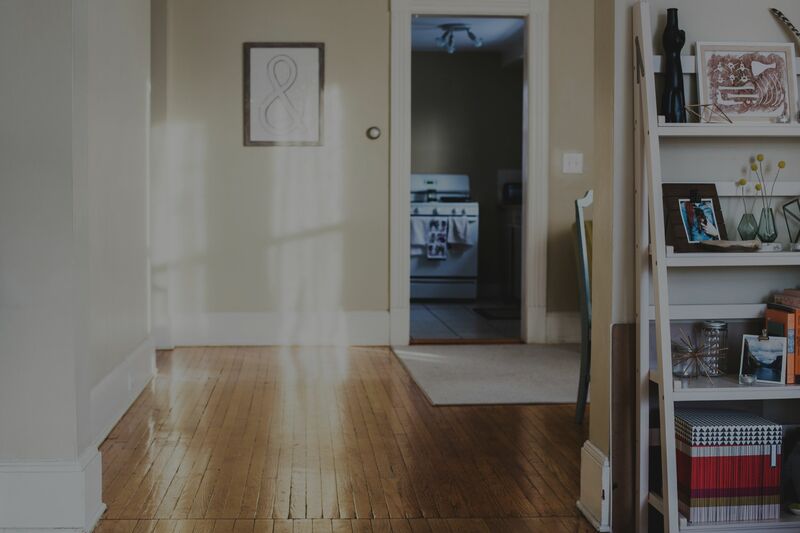 Here’s a complete general and room-by-room rundown of the steps you can take to make and keep your house not only picture-perfect — but open-house perfect. There are a few steps you’ll want to take throughout your house in order to get it ready for deep cleaning and make it presentable for showing. Start by walking through each room and asking yourself what items you haven’t used lately or that you can do without for a while. Minimizing the stuff in your house will make it much easier to keep everything clean throughout the selling process, so it’s important to try to remove absolutely everything possible. Don’t forget about furniture! Removing furniture from a room can make it look more spacious. If you don’t want to get rid of anything, rent a storage unit where you can stash your larger items until you’re finished showing your house and are under contract (but preferably until closing, just in case). When you’ve removed one-third to half the furniture in your house, rearrange what’s left to create inviting pathways through each room. Visitors should be able to walk around everything without bumping into anything else, so if you can’t quite get there, figure out what other furniture items can go and take them to storage. Apart from your personal items, you’ll want to pack up and stash any books, clothes, appliances, equipment, or other things that you don’t need or want immediately (or, realistically, for the next couple of months). It’s fine to keep a few back — nobody lives in a completely empty house — but remember that less is more and do your best to streamline to less. Now that the house is more or less arranged the way you want it, it’s time to start paying attention to some of those details. Look at your walls and ask yourself if you need to add or remove anything. One strong piece of artwork in each room is a good goal — two if the room is really big. Start by looking at those prime placement areas where you’ve removed some of your more personal items and ask yourself what might make a good replacement. Where you aren’t replacing art, repair any holes in the walls and paint over them. In fact, if you’re going to give any rooms in your house a coat of paint, now is a great time to do that — before the real deep cleaning starts. One often overlooked way to spruce up a space is by adding a houseplant or two. So assess your houseplant situation: How many do you have, and do you need to remove or add any? Like artwork, one or two plants per room is probably a good balance; you don’t want to create a jungle aesthetic unintentionally! Make sure the houseplants that you do have look healthy, and are watered and dust-free. Remove dead leaves and keep them well-tended while you’re showing the house. Next, assess the lighting in your house. Are there dark areas in certain rooms? A well-placed floor or table lamp or two can take any room from gloomy to soft and relaxing, so think about where you could use a little light help and add it. While you’re looking at the lighting, check out the light switch plates and outlet covers in each room. If any are looking grubby or fingerprinted, spend a few minutes wiping them down. Finally, think about how your house (and each room) smells as you walk through it. If you have pets and your nose might be sensitized to odors, then ask a friend to give you an honest opinion about how odiferous the place is. (And don’t shoot the messenger if they tell you it needs work!) First address the source of the odor, if need be — if you’re a smoker, you’ll need to take it outside until the house sells, and cats may require a more rigorous litterbox-cleaning schedule. Attempting to mask any smells with scented candles or plug-in air fresheners sometimes has the opposite effect. Open windows and use essential oil diffusers if need be. Once you’ve tackled these general tasks, it’s time to get down and dirty in each room and outside your house. Get ready! If you haven’t already decluttered the kitchen, start with the cabinets and work your way down. Box up and store any dishes and kitchen appliances that you don’t need accessible — you may be in for a few weeks of boring dinners or take-out, but it’s all in the name of making your house stageworthy. Organize your pantry, your cabinets and other kitchen storage spaces, which should be quite a bit easier to do with fewer items to organize. When the cabinets, pantry and drawers have all been addressed, it’s time to tackle the countertops. Remove everything from your countertops and deep clean them, making sure you scrub the backsplash and pay attention to any tile grout (you may want to steam clean or bleach grout if you have tile countertops or floors). Look at your pristine counters and assess them. Are there any corner dings or cracks that you could address or repair before selling? When you’re putting everything back on the counter, wipe it down (or run it through the dishwasher) and continue to follow the “less is more” rule, storing as much as you can to maximize counter space. Spend some time cleaning all of your appliances — oven, stove, fridge, microwave. Replace any worn burner pans on your stove, and remove any personal items you’ve secured to your fridge door with tape or a magnet, like kids’ drawings or phone number lists. You can make your kitchen sink gleam with a little bit of a polish; you can use window cleaner or stainless steel polish on stainless steel sinks, and baking soda and bleach can work wonders on porcelain sinks. Detail clean your sink, too, by using an old toothbrush around the faucet handles and spout. Try to keep your sink empty as much as you can to minimize new spots and stains, and empty it and give it a little extra polish right before you leave the house for a showing. Store your cleaning supplies (including mops and brooms) where they aren’t in plain sight — we know it’s a pain to keep hauling them out, but everything will look nicer with the cleaning implements put away. And make sure you empty the trash in the kitchen every time you leave for a showing. Clearing off surfaces is going to be the first order of business in the living room. If there are ashtrays on coffee tables, remove them while your house is on the market and find somewhere else to smoke; it might be a pain now, but it makes a big difference in how your house is perceived by buyers. After you’ve cleared coffee tables and bookshelves of any mementoes or unnecessary items, clean and dust the tables and bookshelves, then do your best to keep those surfaces clean and dust-free. Kids’ toys can be one of the biggest contributors to a messy living room, so confine them to bedrooms or invest in a toy chest or bin where you can quickly toss them and keep them out of the way. Make sure any fireplaces or wood stoves are in good working order, and clean off and dust any mantles. Only replace items that aren’t too personalized, and make sure that mantles aren’t crowded with knick-knacks. When you’re finished, look around the living room. Does it seem inviting? Think about adding throw pillows and blankets to couches or chairs in order to make it feel a little bit more homey. Household items move like a magnet to the dining room table — we all know this. So the first order of business is to clear off the dining room table, and then keep it clear throughout the showing process. When the table is cleared, remove any extra leaves (if your table has leaves) and extra chairs. Keep four to six chairs at the table, but try not to leave any more than that. Then polish it up and add one centerpiece that will be the focal point of the room. Make sure that any chandeliers are dusted and clean, with fresh light bulbs, and keep the dining room as pristine as you can while you’re showing the house. Do you have a “special occasion” bedding set that doesn’t get used very often? If not, you might consider investing in one — talk to your real estate agent or stager before you do to get an idea of what’s appropriate. If so, now’s the time to haul it out and put it on the bed, so make sure that your nicest bedding set is on display in the bedroom. Once it’s on your bed, make the bed every day. This will help keep the sheets in place, and it’ll be one less last-minute thing to worry about when you’re running out the door before a showing. Next, clear off all the surfaces in your room — bedside tables, dressers and any other surfaces — and clean them thoroughly. Make sure you’ve purged any personal items and keep any additions minimal and dust-free. One tip: Don’t just shove everything in your closets. Buyers look in there, too! And you want them to have a good impression of how everything fits so well in the closet instead of how everything is crammed in there. So organize your closets, discarding or storing anything that you won’t need for a while, like out-of-season clothes and shoes, and keep it looking as tidy as you can. Once again, you’ll want to clear off all of the surfaces in your bathroom, including the back of the toilet. Deep-clean your countertops and sink, and be judicious about what you put back on counters — keep them as bare as you can stand. If you haven’t already removed and stored any unnecessary items that you won’t miss, take the time to do that, making sure you’re paying special attention to any drawers and cabinets. You can use your storage space to keep your day-to-day toiletry items if you’re able to free some up, and then your counters will stay clear with less effort. Display any coordinating towels that you happen to have, and go buy some if you don’t have any. They should serve as accents to the room, so you don’t need to match the towels to your paint, but the main colors in the bathroom should still tie together harmoniously. Make sure your shower, bath and hand towels are all the same color, and fold the towels neatly (in thirds) on the towel racks. If you have a shower, bathtub or both, it’s time to deep-clean those babies. Don’t forget about the toilet — invest in some of those bleach tabs and drop them into the commodes in your house, making sure to keep the lids down at all times. Replace any cracked caulking around your shower, tub or toilet, too, and if it looks like time to replace the shower curtain, do so. Store any garbage cans and cleaning supplies under the sink so they’re not out and obvious. Remove any other “extras” in the room, like magazine racks or fuzzy toilet covers, and either refill your soap dispenser or display a nice, fresh bar of soap in a dish for visitors. The main surfaces to address in this room are the washer and dryer. Remove any stray clothing that’s landed in the laundry room and tackle the washer and dryer, polishing the tops and sides. Keep those surfaces clear while you’re doing laundry. If it’s possible to store any soap or other laundry supplies so they’re out of sight, stash them in cupboards or cabinets. This is one of the most important spaces to store anything you don’t need, including recreational equipment and tools, so start by giving your garage another sweep to remove anything that isn’t essential while you’re showing the house. If there are cabinets or other storage spaces in the garage, organize them, and clear off any workspace surfaces. Sweep the floor — and count yourself lucky that there’s at least one place in the house that doesn’t require a full deep clean (although you could consider power-washing the garage floor if you happen to have a power washer handy). Speaking of power washers, you’d be surprised how effective they are at removing grime, pollen and dust from a house’s exterior. Consider power-washing your exterior and any fences to free them of cobwebs and dirt. If the house needs a paint job, now’s the time to address it. But first, assess your needs — sometimes you really do need a full coat everywhere, but oftentimes you can just spruce up the trim and the whole place looks neater and cleaner. While you’re at it, restain any wood decks or fences that need it. Washing windows is a pain, and nobody loves to do it. But it makes such a difference in the light quality at your house that it’s a step you really shouldn’t neglect. Wash all your windows inside and out; overcast days tend to be better for minimizing streaks. Bring your broom outside and sweep all your porches, decks and walkways, removing old leaves and whatever else has been lurking in the corners. If you haven’t already removed as many additional items and furniture as possible, do so before you work on rearranging any outdoor furniture so it looks inviting, using it to create lounging or eating spaces. You can also consider adding a few extras, like outdoor pillows or ottomans. Don’t forget about your yard! Go over it with a fine-toothed comb (or rake) for any weeds, and look in any planting areas for weeds, too. Remove them along with any dead plants that you find. If you have bushes, prune them so that they don’t block your windows and look healthy and vibrant. And if you have mulch in a planting area, replace it to help your plants pop. You might find that a planter or two of flowers is all you need to do for some serious curb appeal — along with making sure that you’re mowing and fertilizing your lawn regularly, of course. Does this seem like a lot of work? Well, it is — but when you make your house look its very best, then potential buyers will bring their very best offer to the table so they can be the ones to own it next. We really appreciate you investing the time upfront in getting us the information we need to be able to help you through your potential home buying experience. We look forward to getting to know more about your goals. Section 1: Contact InformationPlease provide us with some basic contact information so we know how and when to reach you!